As soon as you enter this gulet, you will see why it is called a romance. On the back deck there is a large table with two benches and a small table in the corner for three people. The front deck contains chairs and mattresses, so you can relax after swimming in the sea or showering on the deck. The interior is decorated in elegant and slightly retro style with beige and gray colors. In the salon are two large table surrounded by sitting set and upholstered chairs. Across is a solitary place with a small round table and sofa shaped in letter “u”. You can relax by the bar, radio / CD player and Wi-Fi. 8 air-conditioned cabins with en suite bathrooms and double beds and one cabin with bunk bed are also comfortable and nicely decorated. They can accommodate up to 18 people. In addition to romantic moments, if you want, you have the ability to take advantage of adventurous moments with water skiing, canoes, paddle board, wake board, Jet Ski and diving equipment. 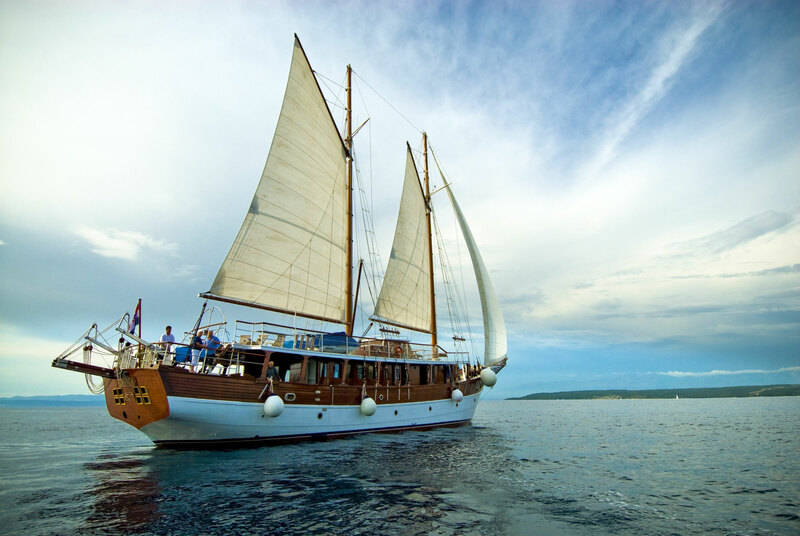 With such a gulet that has everything you do not need access to the coast. However, Croatia is rich in natural beauty and famous historical buildings so we recommend you to see it.